SensorMetrix possesses proven capability and extensive experience in conducting advanced electromagnetic design and simulations, which results in customized solutions to a variety of defense and commercial applications. Over the years, SensorMetrix has developed many innovative and proprietary techniques for designing structural electromagnetic composites, including metamaterials, that span from RF/microwave to infrared frequencies. Based on the customer need and system requirement, either 2D lightweight designs in the platform of flexible appliques and thin film coatings or 3D solutions built on volumetric metamaterials can be delivered. Furthermore, SensorMetrix has developed extensive libraries on relevant constituent material dispersion characteristics for precise, rapid design and synthesis of metamaterials with desired electromagnetic properties. SensorMetrix has a full suite of simulation tools to conduct the modeling of various composite materials as well as generate machine files for rapid prototyping. In particular, SensorMetrix maintains license to several state-of-the-art computational electromagnetic packages, including Ansys high frequency solver (HFSS) with the High Performance Computing (HPC) module, FEKO comprehensive EM Solutions 7.0, and COMSOL Multiphysics. Both Ansys HFSS and FEKO support the ability to distribute the problem across multiple processing cores and parallel machines, which provide significantly enhanced computing performance. These tools offer a wide spectrum of numerical techniques, including Finite Element Method (FEM), Method of Moment (MoM), Multi-level Fast Multipole Method (MLFMM), Finite Difference Time Domain (FDTD), as well as asymptotic high frequency methods such as Physical Optics (PO), Geometrical Optics (GO) and Uniform Theory of Diffraction (UTD). Each method is suitable for a specific range of applications, and has been employed to efficiently solve different types of challenging electromagnetics problems. Ansys HFSS utilizes a 3-D full-wave FEM solver, whose volume meshing technique makes it suitable for accurately modeling arbitrarily shaped volumes with complex, inhomogeneous dielectric properties. It provides SensorMetrix the capability to extract S parameters and effective material properties of metamaterials, visualize 3-D electromagnetic fields, evaluate antenna properties, such as far-field patterns, gain, impedance matches, bandwidth, etc. The MoM and MLFMM offered by FEKO are better applicable to problems involving currents on metallic and dielectric structures and radiation in free space. They allow for full-wave current-based solutions on electrically large structures, which are frequently encountered in defense applications. COMSOL Multiphysics package at SensorMetrix includes the RF and photonic modules for bulk material simulation in both 2D and 3D scenarios. This package has been widely utilized for the modeling of RF and optical devices containing inhomogeneous, anisotropic metamaterial structures. 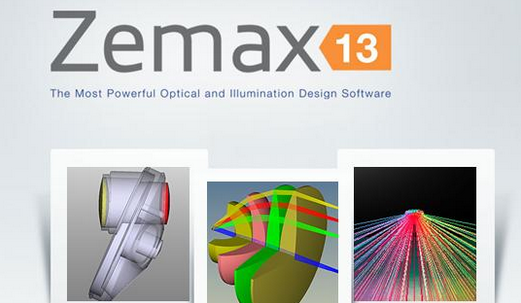 SensorMetrix possesses and utilizes the Zemax Optical Ray Tracing design software for various optical system design and analysis. A thermal analysis package is available for integrated electromagnetic and thermal simulation. SensorMetrix has developed a number of custom developed iterative optimization routines in MATLAB. This includes options for recursive, genetic algorithm (GA), and particle swarm methods, to create optimized electromagnetic designs for a broad span of objectives with an efficient use of personnel and computation hours. The routines may be constrained to optimize a finite parameterized feature or alternatively create new geometries through a pixelated grid. SensorMetrix maintains the latest mechanical design CAD software (including SolidWorks) and software for mathematical and scientific analysis.